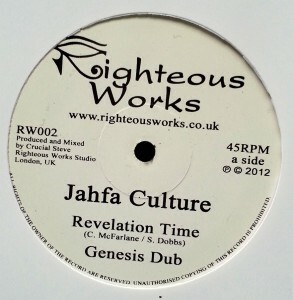 Hot off the press is the long awaited second release from Crucial Steve’s Righteous Works label, featuring the return of the legendary Jahfa “Listen to We” Culture ! On the B-side is up and coming producer Dairy Dub with melodica king Idavid! You can buy the record direct from the online shop now or check the usual places!